Recently we have started a Dishing It Up website. That's right, all recipe links all the time. :) Come by and check us out. 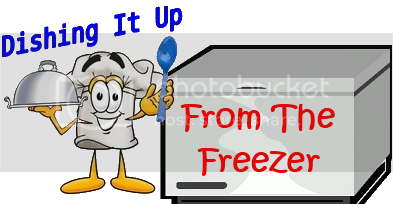 This is the last week we will be looking at freezer recipes. I made a Peaches & Cream Pie as a throw together quickie dessert for my family on Valentine's Day and everyone was glad I did. It's like eating peach ice cream in a pie shell.